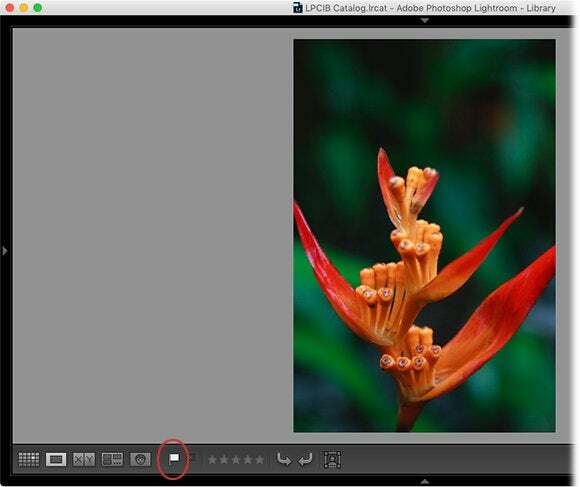 Use Lightroom's Pick and Reject flags to find the best pictures and get rid of the worst ones from a photo shoot. Not all photos are perfect. It’s natural to have good ones and bad ones, especially in digital photography where you can take as many photos as you want with no guilt involving the cost of film and development. If you’re old enough to remember shooting in film, you probably tossed only the truly terrible shots. You then (likely) left the mediocre ones in the envelope you got from the photo lab, and you (probably) forgot about them. Only the best shots made their way out of the envelope and into a physical album. That’s a strategy you can use today: assess and trash the worst ones, leave the mediocre ones alone, and then plop the best ones into a Collection (Lightroom’s term for a digital album). While there are many Lightroom markers that would work for this task, we’ll use Pick and Reject flags (your author learned this strategy from Scott Kelby). This column teaches you how to get it done. Hide all the Library module panels by pressing Shift-Tab. Use the right arrow on your keyboard to go forward through your images (the left arrow goes backwards). When you see an image you like, tap P on your keyboard to mark it as a Pick and then use the right arrow on your keyboard to move to the next one. When you come across a bad one—out-of-focus, poorly exposed, or awful composition—tap X on your keyboard to mark it as a Reject. Don’t bother marking the mediocre files. Repeat until your right arrow key ceases to work, which indicates you’re viewing the last image of your most recent import. If you make a mistake while flagging photos, tap U on your keyboard to unflag the image (think of this shortcut as U for Undo). Now let’s separate the good from the bad. Choose Photo > Delete Rejected Photos. 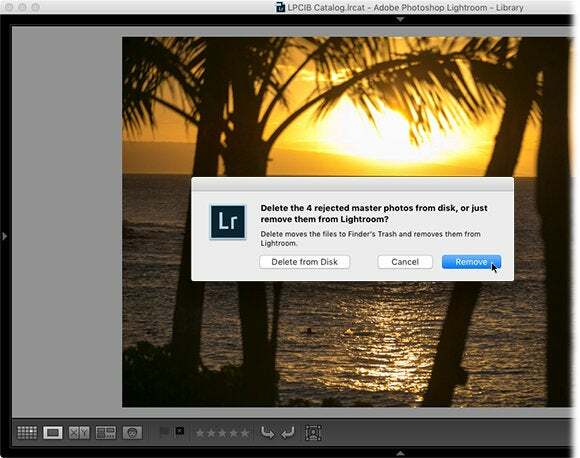 In the dialog box that opens, click Remove to remove the images from your Lightroom catalog so you won’t see them again (they’ll still be on your hard drive). Click Delete from Disk to remove them from your catalog and your hard drive. The choice is yours. Press Shift-Tab to bring the Library panels back and then gather the picks using the Filter bar above the Filmstrip panel. To turn on the filter for Picks, click twice on the tiny white flag icon to the right of the word Filter (circled below)—it takes one click to activate the filter bar and another click to pick which marker you’re filtering for (alternatively, you can click the filter bar switch at the far right of the toolbar to turn it on and then click the white flag). When you do, Lightroom shows only those photos you flagged as a Pick. Select all the Picks by choosing Edit > Select All or by pressing Command-A. 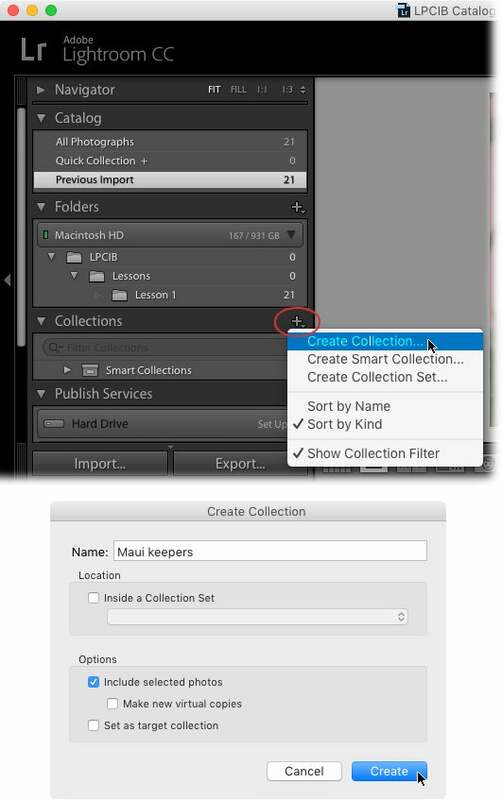 In the Collections panel at left, click the plus sign and from the resulting menu, choose Create Collection. 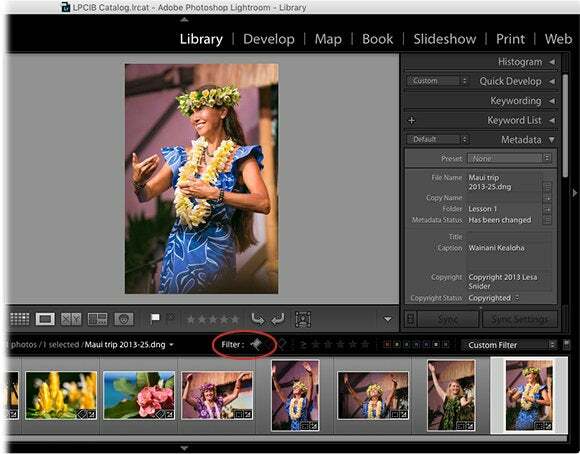 In the dialog box that opens, enter a meaningful name (say, “Maui keepers” or whatever), turn on “Include selected photos” and turn off “Make new virtual copies.” Click Create and Lightroom creates the collection. Now you’ve got you one-click access to them via the Collections panel. If you’re using Lightroom CC, you can sync collections onto your iOS devices for use with Lightroom Mobile. 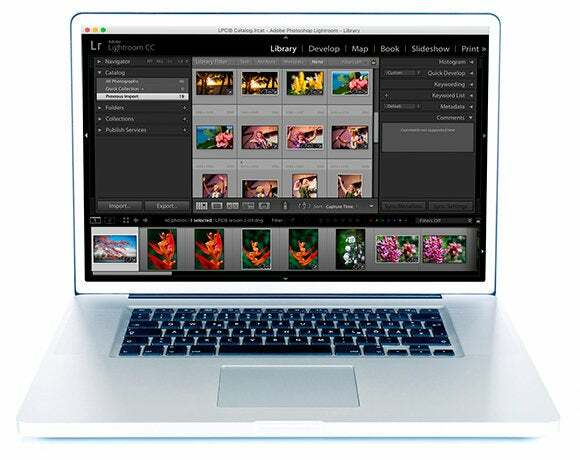 Narrow down the photos in your collection to the ones you’ll actually edit. Turn off the Filter bar by clicking the gray switch on its far right. While you could mark the photos you’ll edit with a star rating or a color label, let’s use flags again. To do that, unflag everything: press G to enter Grid view and, if the photos are still selected (they should be), press U on your keyboard to unflag them all. 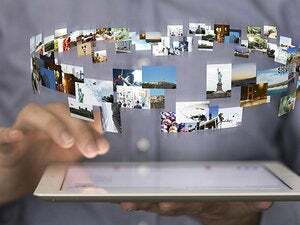 (If the photos aren’t selected, press Command-A to select them all and then tap the U key.) In Loupe view, only the most selected thumbnail gets unflagged when you press U on your keyboard, even though all the photos are selected. To unflag all of them at once, you have to be in Grid view. Double-click the first photo to enlarge it and then hide the panels by pressing Shift-Tab. Use the right arrow key to move through the photos like you did earlier and tap P on your keyboard to flag the ones you want to edit. Summon your panels again by pressing Shift-Tab and then click the white flag in the the Filter bar as described earlier. (For whatever reason, you only have to click the white flag once in order to activate the Filter bar this time. Feature or a bug? Nobody knows.) Now create a new collection named “Maui selects” or something similar. Make sure “Include selected photos” is turned on and that “Make new virtual copies” is turned off. Click Create. This gives you two collections: one for keepers and another for the best of the bunch. 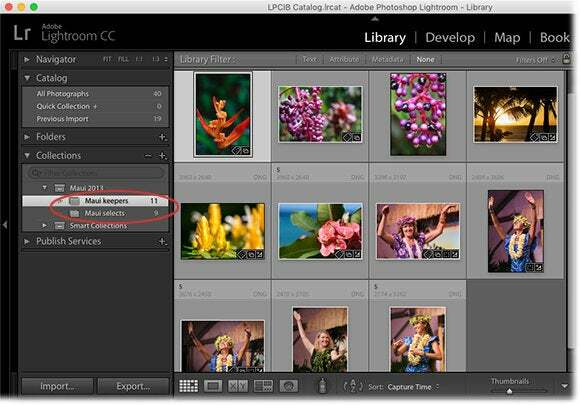 There you have it, a simple way to assess, cull, and organize your photos in Lightroom. Once you get used to it, you can perform it at warp speed. Until next time, may the creative force be with you all!